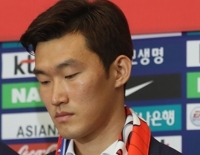 SEOUL, March 28 (Yonhap) -- Doosan Bears' left-hander Yoo Hee-kwan won 10 games last year, his sixth consecutive season with double figures in wins, but he'll be the first one to tell you he otherwise had a terrible campaign. His ERA was an ugly 6.70. He was also limited to 141 innings, the lowest figure since he became a full-time starter in 2014. The 32-year-old is hoping for a bounceback season in 2019 and he got off to a solid start. In his season debut Wednesday, Yoo held the Kiwoom Heroes to two earned runs on five hits in seven innings in a no-decision. "Last year, I was lucky to get to 10 wins. My other numbers were really bad," Yoo said. "This year, I'd like to get at least 10 victories again and help the team win the championship." During his struggles last year, Yoo heard whispers that his heavy workload from previous years had finally taken its toll on him. Though he's never been a hard thrower, Yoo had been a consistent presence in the Bears' rotation for a handful of years, piling up at least 177 innings in every season from 2014 to 2017. Yoo tossed 741 1/3 innings across those four seasons, second most in the KBO in that span, behind only Yang Hyeon-jong of the Kia Tigers (759 1/3 innings). "If I had pitched well last year, people wouldn't have mentioned those innings from previous years," Yoo said. "This year, I will try to be more consistent, so there won't be any concerns about fatigue." Wednesday's outing was Yoo's best start to a season since 2015. That year, he gave up just one earned run, against the Hanwha Eagles, on four hits in six innings for a win. He went to have the best season of his career, with an 18-5 record and a 3.94 ERA in a career-high 189 2/3 innings. 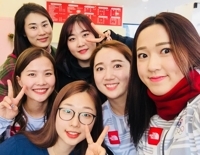 Third-year right-hander Lee Young-ha is in the rotation for now, but Kim said it'd be better to have Jang back in the rotation and then send Lee to strengthen the relatively weak Doosan bullpen. Yoo also said he'd like to have Jang back starting again. "We all know he's been a great pitcher for a long time," Yoo added. "Hopefully, we'll both have good seasons this year."